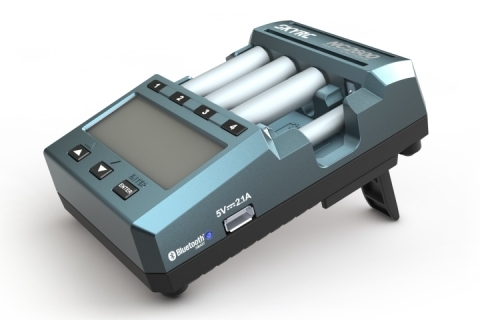 SkyRC NC2600 AA/AAA Battery Charger & Analyzer is more than just a battery charger which can perform a number of different functions. If you are interested in getting optimum power, turbo fast charging (up to 2600mA Charge Current) and the longest battery lifespan, this is an excellent choice for you. The charger has four compartments for AA batteries and AAA batteries and it is able to charge both AA and AAA batteries simultaneously. 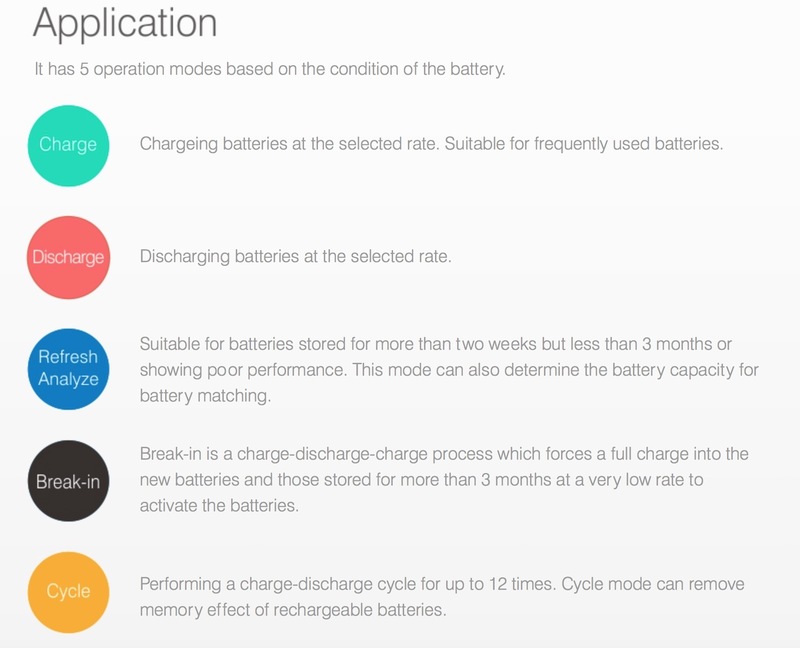 Due to different battery capacity, you could set the charge rate accordingly or set all at once. With charging,discharging, refresh & analyze, break-in and cycle functions as well as individual LCD displays for charging status; this charging unit is reliable, user-friendly and ideal for use in the home, office or on a trip. You could control this smart charger by your smart phone via Bluetooth Smart. 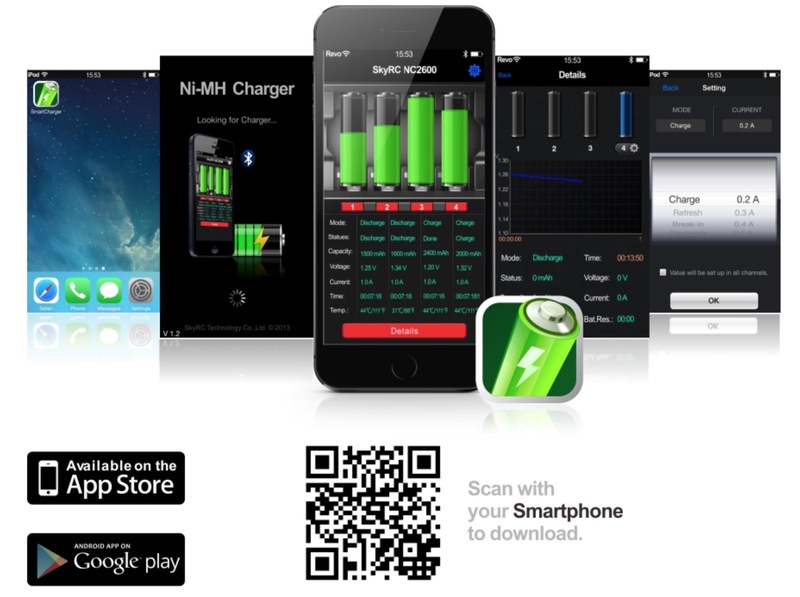 Operating this charger on your smart phone gives you the best using experience . What's more, more functions (optional Delta Peak Value and Discharge Termination Voltage) and information (battery temp, internal resistance and voltage graphic) are available on you mobile device.